Matthew 28:6 "He is not here, for He has risen, just as He said. Come, see the place where He was lying." What happened on that first Easter morning? In this post, I aim to present the historical case for Jesus’ resurrection from the dead. Many people may not realize that the resurrection of Jesus Christ occupies a place in historical investigation. Think of what follows as more of an outline than a comprehensive treatment. It is hoped that this post aids those wanting to go further in their understanding of the events surrounding Jesus' resurrection from the dead. Knowing and showing that Jesus raised from the dead. “You ask me how I know He lives, He lives within my heart”. This first way of understanding what occurred on that first Easter is reliable and is how all people arrive at a certainty of what took place. When I say "certainty", the definition of theologian Herman Bavinck comes to mind: "certainty is a state of mind settled upon the object of one's perception." When faith or "trust" occurs, the heart and mind come to have a settled state with regards to Jesus' life, death and resurrection on their behalf. This way of “knowing” the risen Christ is obtained with or without “showing” the event to be the case. Philosophers refer to such knowledge as "properly basic beliefs". Examples of properly basic beliefs include knowledge of the external world, other minds and memories of the past - all of which is rational to hold to without evidence. Some thinkers would include the innate knowledge of God as a properly basic belief. Such an observation ought to comfort readers, since most people in the world don’t have time nor access to the resources that one would utilize in historical research. The above covers "knowing God" on a personal level. So what about "showing" the resurrection of Jesus to be the case? When I say “showing”, I mean presenting the historical case that demonstrates that the premise: “God raised Jesus from the dead” is the best explanation of the empty tomb. How we can show that Christ’s resurrection from the dead was a historical event. a. First express the facts surrounding the resurrection. b. Secondly, list the criteria used in judging which explanation of the facts best explains “what happened”. c. Thirdly, the typical explanations of those facts (naturalistic explanations and the one supernatural proposal: “God raised Jesus from the dead”). d. Then lastly, why the proposal: “God raised Jesus from the dead” is the best explanation of the facts. The Christian can readily affirm that "dead men don't rise naturally from the dead". However, in proposing that God raised Jesus from the dead, we are stating that the only way a resurrection could be brought about is by a supernatural, all-powerful, all-knowing, all-good God as referenced by Jesus Himself. When skeptics refuse to allow the possibility of the miraculous, the objection raised is not historical, but rather philosophical in nature. Including a supernatural explanation (i.e. "God raised Jesus from the dead") in the survey of explanations for what happened on that first Easter morning is part of the historical investigative process. What are the facts surrounding the resurrection event? a. What do we mean by “fact”? An event of the past that is multiply attested in several sources and which is viewed as such by most historians living today. Gary Habermas did a landmark study, surveying over 2,000 publications by scholars of all stripes written from 1975 to present. (Gary Habermas, “Experience of the Risen Jesus: The Foundational Historical Issue in the early proclamation of the resurrection,” Dialogue 25 (2006): 292.). Wherever there were at least 75% agreements, that counted as a “fact”. The facts we will look at today are shared among 90% (per Habermas’ reckoning). b. What are the primary sources for Easter? When it comes to multiple attestation (i.e. multiple, independent sources), we possess several primary sources for these facts: Matthew 28; Mark 16; Luke 24; John 20; the materials particular to Matthew /Luke and 1 Corinthians 15:1-6. It must be noted that people must not dismiss these sources due to their being “in the Bible”. Before there was a gathering together of such sources into the bundle we call the “New Testament”, they were independently written. Although it is right for the Christian to rightly see these documents as inerrant scripture, historians approach them as reliable sources for the historical events surrounding the historical Jesus of the 1st century. For the purposes of the foregoing argument, we will approach the New Testament documents as reliable sources about Jesus (even though this author holds to Biblical inerrancy, which is another topic, for another post). Non-believing historians regard the Gospels and 1 Corinthians 15 as reliable sources, despite whatever their personal beliefs might be toward these documents. The only people that try to pass off the Gospels and Paul’s letters are internet skeptics or people not familiar with even a general sense of how historical research is done in New Testament studies. What criteria are used when evaluating various explanations for the facts at hand? a. It is one thing to list the facts, and have most everyone agree that these are the facts at hand. However, whenever it comes to how to explain “what happened”, the disagreements emerge. Naturalism is that worldview which asserts that physical matter is the ultimate and fundamental basis for all reality. Hence, naturalism denies miracles, God's existence and an immaterial reality outside our universe, since the universe is, according to the late naturalist Carl Sagan: "all there is, was and ever will be." Why the hypothesis: “God raised Jesus from the dead” is the best explanation of the facts. The explanation proclaimed by the disciples: "God raised Jesus from the dead" has consistently shown itself to best explain the above facts. Naturalistic theories fall short due to not adequately accounting for why the disciples switched from skepticism to faith. Furthermore, such explanations cannot provide plausibly consistent explanations of the empty tomb that doesn't conflict with known details of 1st century Jewish and Greco-Roman life. Final appeal to place your trust in the risen Jesus, so that you can “know” that He lives. As we close out this post, let me briefly make the appeal for any reader that has never trusted in Christ as Savior and Lord to do so. The scriptures below explain how one can know for certain, by faith, that Jesus raised from the dead and how He can become Savior and Lord of their life. Ephesians 2:8-9 "For by grace are you saved through faith, this is not from yourselves; it is the gift of God, not by works, lest any man should boast." Romans 10:8-10 "But what does it say? “The word is near you, in your mouth and in your heart”—that is, the word of faith which we are preaching, 9 that if you confess with your mouth Jesus as Lord, and believe in your heart that God raised Him from the dead, you will be saved; 10 for with the heart a person believes, resulting in righteousness, and with the mouth he confesses, resulting in salvation." You can know the risen Christ! Not just as having probably raised from the dead (that’s as far as the above argument will get you), but having certainty of Him having died on the cross and risen for you. As Hebrews 11:1 reminds us: "Faith is the substance of things hoped for and the certainty of things not seen." i. Explanatory scope: How much of the evidence does the explanation or hypothesis explain better than its rivals. iii. Plausibility. How well does the given explanation fit with other known background beliefs of that time period. iv. Least contrived. Whichever explanation of the facts adopts the fewest new beliefs apart from independent evidence is most likely the correct explanation. v. Disconfirmed by fewer accepted beliefs. Whichever explanation can withstand the scrutiny of comparison with other well-established beliefs is the more probable explanation. vi. 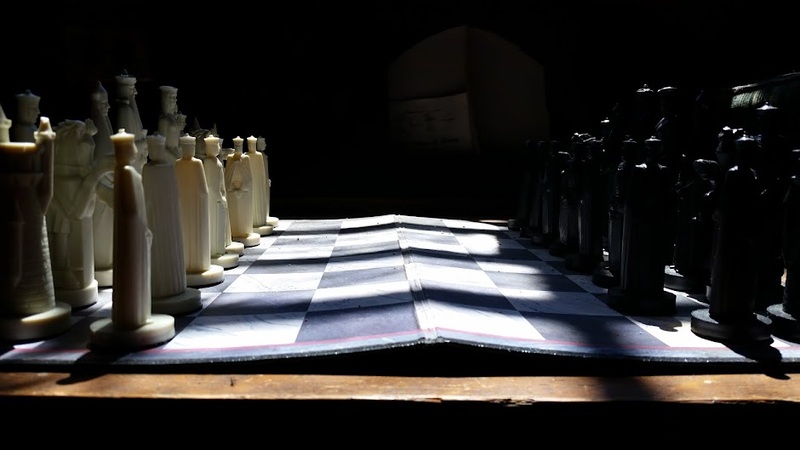 The best explanation meets the first five conditions so much better than its rival explanations, that there is little chance of the other rival explanations being the better candidate for telling “what happened”. i. Hallucination hypothesis = the disciples hallucinated the risen Christ. Doesn’t adequately explain post-mortem appearances. People that think they have seen a dead loved-one knows that the person is dead. The disciples' post-mortem visions of Jesus resulted in their message: "He is alive"! Hallucinations are individual experiences. The Gospel accounts and 1 Corinthians 15 record episodes where the post-resurrected Christ physically appeared to multiple people. ii. Apparent death / mystery twin = Jesus switched with a look alike. Islam, Surah 4:157. Requires contrived beliefs (maybe a twin-brother, maybe they found a look-alike, they tricked guards, and so-forth). Doesn’t explain empty tomb nor post-mortem appearances. iii. Visionary hypothesis = not a physical Jesus, but a “vision” only. Doesn’t explain how 500 people could see Him. Also, appearances are accompanied by physical phenomena. Doesn’t cover empty tomb. i. Swoon Hypothesis = Jesus didn’t die, He fainted revived in the cool tomb. Doesn’t take seriously the brutality of crucifixion. Disconfirmed by what we know of crucifixion. ii. Conspiracy = disciples stole the body. Jewish leaders stole body. The Christian movement wouldn’t had gotten off the ground, disciples switch to faith is not explained. Jewish leaders could had ended movements by producing a body. They claim disciples stole body. iii. Hoax = Disciples lied. No one knowingly dies for a lie. Hoaxes fizzle out within a few years. iv. Wrong tomb. The women followed. Joseph of Arimathea would not had been a Christian invention. The guards were situated at the tomb (Matthew 28:4). Pilate would had known where the tomb was, since he decreed for it to be sealed. These observations demonstrate, on historical grounds, that the location of the tomb was known by both followers and opponents of Jesus. 3. So why does the hypothesis: "God raised Jesus from the dead" outperform its naturalistic rivals? The following criteria are fulfilled by it in contrast to its rivals. i. Explanatory scope: How much of the evidence does the explanation or hypothesis explain better than its rivals. It alone explains four main facts. ii. Explanatory power: Does the given explanation make the evidence more probable as having occurred than rival explanations. It best handles the facts. Furthermore, all other naturalistic theories break down here. iii. Plausibility. How well does the given explanation fit with other known background beliefs of that time period. Jewish beliefs of resurrection as physical. Early church’s beginnings. iv. Least contrived. Whichever explanation of the facts adopts the fewest new beliefs apart from independent evidence is most likely the correct explanation. Only one extra belief is need: God exists. v. Disconfirmed by fewer accepted beliefs. Whichever explanation can withstand the scrutiny of comparison with other well-established beliefs is the more probable explanation. Nothing precludes this. To say: “miracles are impossible” is not a historical objection, but a philosophical one. vi. The best explanation meets the first five conditions so much better than its rival explanations, that there is little chance of the other rival explanations being the better candidate for telling “what happened”. This hypothesis best fulfills the first five criteria. Romans 11:33-36 "Oh, the depth of the riches both of the wisdom and knowledge of God! How unsearchable are His judgments and unfathomable His ways! 34 For who has known the mind of the Lord, or who became His counselor? 35 Or who has first given to Him that it might be paid back to him again? 36 For from Him and through Him and to Him are all things. To Him be the glory forever. Amen." "and saying, 'Men, why are you doing these things? We are also men of the same nature as you, and preach the gospel to you that you should turn from these vain things to a living God, who made the heaven and the earth and the sea and all that is in them." Paul is saying in this passage that he and his fellow laborers were no different from them in the realm of possessing "like-passions". Paul urged this point upon his audience to stave off unsolicited worship of him as one of their deities. Paul's words about himself and his ministry partners contrast with the true and living God that doesn't have "up-and-down emotions" (i.e. an impassible God). God's emotional life is consistent, always in operation and unimpeded. The classical doctrine of Divine impassibility teaches us that God, in terms of His emotional-life, cannot be any worse or any better, since He is always at His best and thus, never varying. If for anything, this teaching shows us that God is far more emotional than we as human beings could ever hope to be! So I sought the Lord at that moment as a God that I knew was always loving, always merciful, always opposed to sin, always happy with Himself, unchanging in His love for me and always loyal in knowing about my circumstance. Do you know that the instant I prayed that prayer, an enormous peace came over me! Since that day, I have pondered on what it would be like to base one's prayer-life on the attributes of God. Thus, today's post on God’s attributes as a way of strengthening the Christian’s prayer-life. An attribute is a quality or characteristic of God that describes Him. To be more exact, an attribute of God is a perfection that is an expression of His essence as God. To take but one example, we read in 1 John 4:8 that "God is love". For God, love is not just an attribute that God possesses as a feature, but rather, love is God's very essence expressing itself as the perfection of love. In other words - "God is love", incapable of being less or more in how that expression could ever be express from the standpoint of what He is as God. Another example is found in Psalm 99:5, were we read: "holy is He". God doesn't merely "have" holiness", He is Holy". Holiness is a perfection that is an expression of His very essence. As we think about God and His attributes, all of His attributes are rooted in His very essence. No one single attribute is better than the other. All of them, without exception, capture and grant to us all of who God is (as Father, Son and Holy Spirit) and what God is (the One, undivided God). Concerning that latter statement of "what God is", we come to find that God is indeed the "undivided God" or what theologians refer to as "Divine simplicity". Thus, in the above examples, God is "lovingly-holy" and "holy-loving". Divine simplicity means God is not composed of parts, whether we speak of attempting to separate God's attributes from His Divine being or presupposing some cause that brought about God. Put another way, Divine simplicity means every attribute equally grants us God, His eternal perfections and identity. 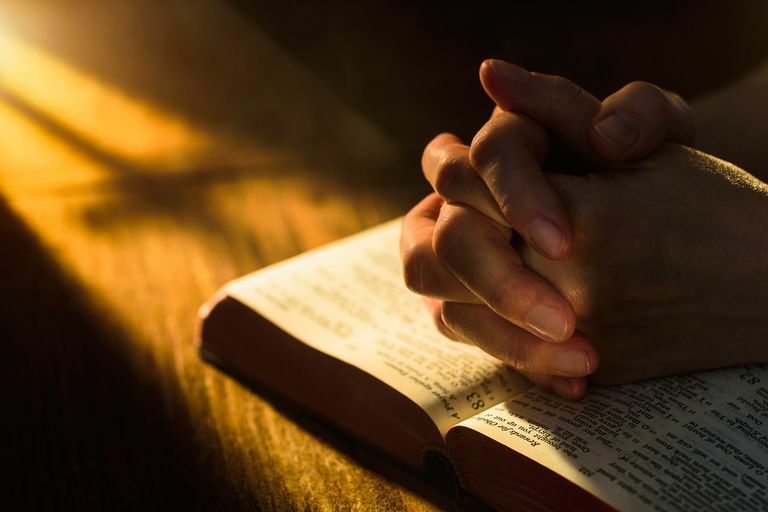 When we bring Divine simplicity down to the most practical level of prayer, we refer to how God is never at odds with Himself, and thus undivided when we come to Him in prayer. One writer has noted that due to God not being composed of parts, that means that when I'm falling apart, God can hold me together by virtue of His Divine simplicity. Divine simplicity may very well be an attribute which is hardly discussed today, yet, it can help us in gaining confidence in God in prayer. How is it that we can pray to God according to His Divine simplicity? 1. Psalm 99:5 “Holy is He”. 2. Malachi 3:6 “I the Lord do not change”. 4. 1 John 4:8 “….God is love”. The Apostle Paul in Romans 11:33-36 indicates how God is undivided with respect to His abilities to give attention. Paul references God's Wisdom, Knowledge and ways as undivided and thus - unfading. My favorite passage in all the New Testament hints at God's Divine simplicity, namely Romans 11:36 - "for from Him, and to Him and through Him are all things". No one is good at everything. Even in our universe, we see varying levels of stars, things wearing out, things changing. God’s ability alone never diminishes. His attributes, or perfections, never fade. Such thoughts grant confidence in prayer. How? Practically, as mentioned above, God won’t ever fall-apart because He has "no parts" as defined by the doctrine of Divine simplicity. In other words, God's essence or "what He is" and existence or "that He is" are not divided and are not separated from His perfections. As Divinely simple, God is incapable of improvement and without need of anything. When it comes to prayer, God is our all sufficiency in prayer because He needs nothing to make Him better. We on the other hand need God, since without Him and His perfection of omnipotent, I can never have that endless source of strength needed to get through everyday life. “For I, the Lord, do not change; therefore you, O sons of Jacob, are not consumed." Since God's Divine simplicity grants me access to every attribute that He is as God, this means that at any given point, I have all of God's unending ability to bear on the things I pray about in everyday life. Put another way, Divine simplicity teaches that since every attribute equally grants us God, we have perfections and Personal identity involved with us every step of the way. Today we emphasized praying by way of God's attributes. We focused upon God's Divine simplicity, which refers to God being "undivided", whether in terms of His attributes, being or existence. Such a God grants us all the confidence we need in prayer. As Divinely simple, God grants to us His undivided attention and undivided power by how we have accesses to all that He is and who He is in prayer. In the last post, we surveyed various sorts of arguments for God's existence that focus on perceived patterns and purpose in nature, here: http://www.growingchristianresources.com/2019/03/surveying-design-arguments-for-gods.html. Over the last decades, astronomers have been stunned by a feature of the universe they refer to as “fine-tuning”. To grasp this concept, I think of how often I used to bake bread every week. The recipe I used was “fine-tuned”, with a statistically narrow range of possibilities available to alter the recipe of six ingredients to produce “edible bread” and hundreds of ways to make “inedible bread”. In our fine-tuning of bread example, we would want to know how to explain the production of edible bread, when inedible bread, given all the possible variations, was far more likely. When we turn to our universe: with its constants (over 120) and extremely delicate initial conditions, what best explains embodied, intelligent life? "Fine-tuning is a technical term borrowed from physics, and refers to a contrast between a wide-range of possibilities and a narrow range of a particular outcomes or phenomenon." "the claim that the laws and values of the constants of physics, and the initial conditions of any universe with the same laws as our universe, must be set in a seemingly very precise way for the universe to support life." The idea of "fine-tuning" is immune from charges of attempting to smuggle God into science or committing what philosophers call a “God-of-the-gaps argument”, since we’re exploring things we’ve already discovered, rather than those things we haven’t. "Science can provide evidence in support of a premise in a philosophical argument leading to a conclusion that has theistic significance." Fine-tuning research tests models of variations of the constants, quantities and initial conditions in our universe. 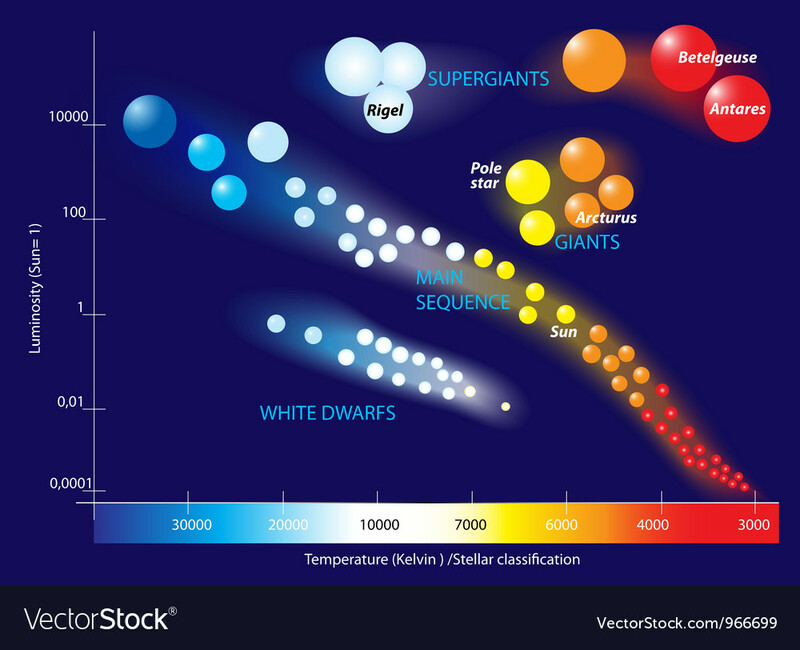 A chart of the various sizes and ranges in which stars are found (such as the Hertzsprung-Russell chart) illustrates the limits in both size and luminosity of every star we've observed (notice how our sun is near the center of the chart). 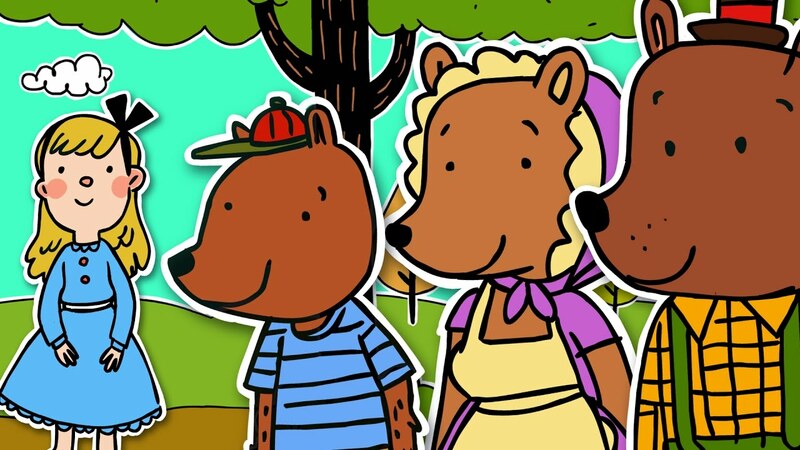 A metaphor used to describe cosmic fine-tuning is lifted from the nursery rhyme “Goldilocks and the Three Bears”. I recall years ago reading of how our planet functions in its own “goldilocks zone” or “habitable zone” from the sun. If we were but 10-15% closer or further away, we’d either roast like Venus or freeze like Mars. Such examples are a small portion of hundreds of other cases that give evidence for the fine-tuning of the universe. What accounts as the best explanation for cosmic fine-tuning? So, is fine-tuning due to “chance”? Roger Penrose, a physicist at Oxford University, has calculated the chances of the solar system resulting from a random collision of particles is 1 x 10, raised to the power of 10, to the power of 60 (1 followed by 10, to the power of 10, to the power of 60 zeros, which could not be written out even if the whole universe were a sheet of paper)! So, what about the chances of our universe's fine-tuning arising by chance? Penrose notes that this probability makes the number about the solar system forming from chance look like "utter chicken feed" - namely 1 x 10, to the power of 10, to the power of 123! So, perhaps the universe’s fine-tuning is due to necessity, that is, it had to be this way, otherwise, we wouldn’t be here! Necessity advocates fail to realize that the constants in our universe (such as gravity, the speed of light) function independently of the laws of nature, meaning that nature’s laws could had been configured in a vast number of ways. Nature’s laws don’t “prescribe” the universe’s behavior, but only “describe” how it behaves under various conditions. Some have attempted to avoid the fine-tuning problem altogether by proposing the so-called “multi-verse” hypothesis. This idea proposes that our universe could be one of a possible 1x10 to the 500 power universes, with enough combinations to produce a universe that would necessarily be just-right for life. The problem with this proposal is that the alleged mechanism for the multi-verse itself would need even more exquisite fine-tuning. If space permitted, I could bring in other sorts of arguments that consider how this designer would be an immaterial, all-powerful, all-knowing, everywhere present, necessarily existing, un-embodied mind – otherwise known as: “God”. Therefore, God is the best explanation for the fine-tuning of the universe. My hope is that these last few posts have both informed and equipped readers with the understanding that the evidence for God's existence is abundant. Might these posts contribute, in a small way, toward advancing the cause for Jesus in our 21st century world. In our last post, here: ( http://www.growingchristianresources.com/2019/03/introducing-natural-theology-and.html ), we began looking at a particular type of argument for God's existence called "the teleological argument". A teleological argument uses perceived patterns and purposes of creation to draw together particular conclusions about the intelligent creator of the universe. Such an argument looks for certain marks of design in nature as tell-tale signs of a designer. Modern examples of such teleological arguments include those of the the intelligent design movement. Molecular biologist Michael Behe and Mathematician William Dembski have spoken of such traits as "specified complexity" (i.e. a system that has a low probability of having a developed by chance, such as a watch) and "irreducible complexity" (i.e. a system that required a minimum amount of already functioning parts in operation from its beginning, such as a mouse trap). Another modern example of a teleological argument (which will be the focus of the next post) is the so-called "fine-tuning of the universe" for intelligent design. A rather significant portion of astronomers today have discovered that our universe seems to be "just-right" for life. In the last 50 years, astronomers have been stunned by the way nature's constants and quantities are balanced on a razor's edge to permit the existence of intelligent life as ourselves. The explanation for this alleged fine-tuning ranges from chance, to that of necessity (the constants are just what they are) to that of design. In the first century world of Paul's day, teleological arguments were in use. The above opening passage in Romans 1:20 illustrates how Paul used this sort of argument to lead the way to what would be his exposition of the Gospel. In today's post, we want to trace how various versions of the teleological argument for God's existence have lent their support to the overall case for God in the face of persistent criticism. "Now whatever lacks intelligence cannot move towards an end, unless it be directed by some being endowed with knowledge and intelligence, as the arrow is shot to its mark by the archer. Therefore some intelligent being exists by whom all natural things are directed to their end; and this being we call God". Aquinas roots his argument (as with the other four arguments) in the causative power of God. Some thinkers believe that teleological arguments as a whole were dealt a death-blow by the 18th century philosophers Immanuel Kant and David Hume. Immanuel Kant expressed his doubt in finding evidence for God from consideration of the natural order, since the supernatural realm and natural realms, in his system, were totally separated from one another. David Hume asserted in his philosophical writings the inability to definitively prove, in principle, any relationship between a cause and a given effect. For some thinkers in the eighteenth and nineteenth centuries, it seemed that the teleological argument was defeated. The project of natural theology, like any study of theology in general, is ever at work explaining the Christian faith to new generations and developing responses to Christianity's critics. Certain Christian thinkers have developed more sophisticated versions of the teleological argument in the last two-hundred years - demonstrating that God's testimony in creation cannot be muted. Paley's argument appeared to counter-act the objections raised earlier by Kant and Hume (see above). Some thinkers today (such as the late Christopher Hitchens and the still-living Richard Dawkins) have suggested that the advent of Darwin's theory of evolution in the 1850's dealt a deathblow to any ability to demonstrate design in nature. Despite the battles between the evolutionary hypothesis and design-based explanations of the origins of biological complexity in the biological sciences, the realm of 20th century and 21st century astronomy has witnessed the emergence of a growing field of study that explores the question of why our universe allows for the existence of intelligent life such as ourselves - namely the fine-tuning of the universe for intelligent life. This idea of "cosmic-fine-tuning" and whatever relevance it may have in crafting an argument for God's existence will be the focus of our next post. Psalm 8:3-4 "When I consider Your heavens, the work of Your fingers, the moon and the stars, which You have ordained; 4 What is man that You take thought of him, and the son of man that You care for him?" The universe is defined as all physically connected, space-time reality. Current estimates give the size of the visible universe to be 92 billion light years in diameter. When I speak of the "visible" universe, I refer to the farthest point we can see in comparison to the region of space lying beyond such points that are expanding faster than the speed of light. Since nothing travels faster the the speed of light in space (670 million m.p.h or 186,000 miles per second), observations since 1998 confirm that the expansion of the universe is accelerating relative to our position. 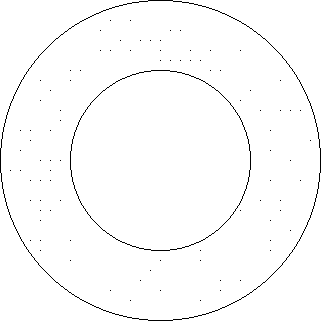 If one can picture a circle as representing our visual horizon of what we can see as "the visible universe", then to capture the whole universe, one only needs to draw a much larger circle around the first circle to get the idea of what were talking about. In 2016, astronomers published a new estimate of the number of galaxies to be roughly 2 trillion, with each containing an average of 100 billion stars (giving us a rough number of stars as 2 followed by 23 zeros ). As we mentioned earlier, our universe is expanding at an ever faster rate. Astronomers from Cornell University calculate that the rate at which the universe is expanding, given its age, coupled with the maximum distance we can see (a 46 billion light-year radius in all directions, with one-light year equaling nearly six-trillion miles), yields a universe that is in upwards of 250 times larger than what we can view (see link here: https://arxiv.org/abs/1101.5476)! In other words, what astronomers are able to observe through even the most powerful telescopes represents a potential of less than .5% of the whole universe! "If you tabulate all stars visible down to magnitude 6.5, thought to be the faintest stars still visible to the unaided eye, the entire sky contains some 9,000 stars. 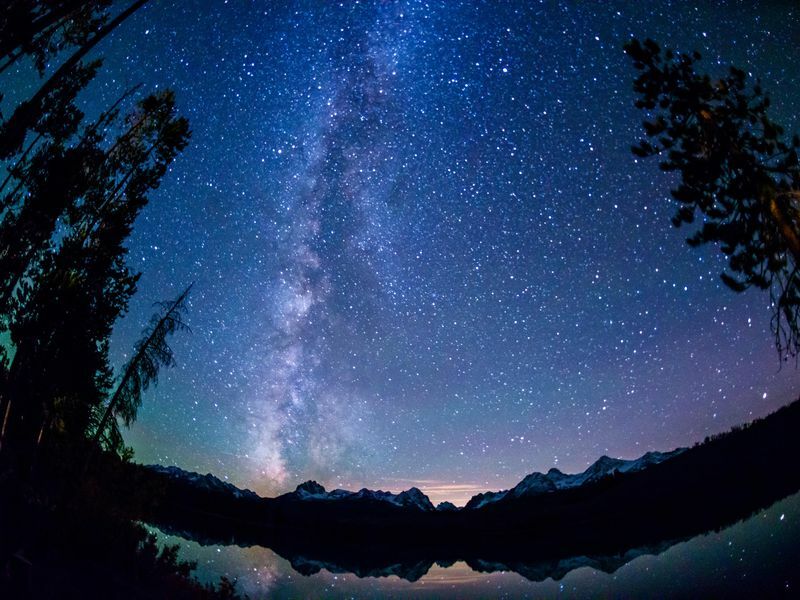 Since you can only see half the sky at any time, that means there are as many as 4,500 stars visible in your sky tonight." As David scanned the skies, he began to write under the inspiration of the Holy Spirit the unparalleled words of Psalm 8. David inferred a certain order and purpose to all that was above him and around him. In another Psalm, Psalm 139, David utilizes a similar tactic by reflecting on the design and purpose he saw within himself. David is an early example of demonstrating the reality of God's creative power from observations in creation. Such an argument that attempts to infer God's existence from the apparent design and order of nature is what is called a "teleological" argument (from two words, "telos" meaning "order" and "ology" meaning "study of"). Whenever one infers anything about God's existence from nature or human nature independent of appeals to Divine written revelation, such an exercise is called "natural theology". Such arguments for God's existence, also termed "theistic arguments", attempt to demonstrate that, belief in God is not only a matter of faith, but also counts as grounds for rational thought. As already mentioned, one type of argument in natural theology looks at repeated patterns in nature and features pointing to design (such as specified complexity, or, a pattern that is unlikely to have been formed by chance). “Present your case,” the Lord says. Bring forward your strong arguments,” The King of Jacob says. 22 Let them bring forth and declare to us what is going to take place; as for the former events, declare what they were, that we may consider them and know their outcome. Or announce to us what is coming; 23 Declare the things that are going to come afterward, that we may know that you are gods; Indeed, do good or evil, that we may anxiously look about us and fear together." Isaiah's "test" shows how arguments rooted in pattern and purpose (i.e. teleological arguments) can provide discernment when testing truth claims from other religions and validating the claims of Biblical faith. "For the wrath of God is revealed from heaven against all ungodliness and unrighteousness of men who suppress the truth in unrighteousness, 19 because that which is known about God is evident within them; for God made it evident to them. 20 For since the creation of the world His invisible attributes, His eternal power and divine nature, have been clearly seen, being understood through what has been made, so that they are without excuse." "and He made from one man every nation of mankind to live on all the face of the earth, having determined their appointed times and the boundaries of their habitation." The Biblical authors David, Isaiah and Paul give precedents for the appropriateness of using natural theology and teleological arguments in pointing the way to the God of the Bible. Authors outside the Bible confirm this notion of God's general revelation, and humanity's ability to know about His existence, by how various pagan authors worked out their own versions of the teleological argument (such as the Greek philosopher Plato in his work called "Laws"). The teleological argument has had a rich and, at times, contentious history with those who opposed it. In the next post, we will explore some of the history of this very important argument for God's existence. It is too high, I cannot attain to it." Today's post wants to explore the life-applicable realities of a precious attribute of God revealed in the Bible - Divine omniscience. What is entailed in the Biblical concept of God's knowledge? In Psalm 139, David introduces us to God by first noting this particular property of God's essence. God's knowledge, as seen in these verses, covers at least four areas that we find mentioned in the Bible. The areas I'll mention below summarize the essentials of this vital truth about God. Along the course of today's post, I'll mention how the particulars of omniscience give confidence in prayer. 1. The first has to do with God's direct knowledge of all things. For God, there is no such thing as "knowledge by comparison". God knows all things directly. David writes in Psalm 139:1 "O Lord, You have searched me and known me." We as human beings perceive things by way of our senses. Our minds take in the information of our senses and translates them into sounds, pictures and memories. Psalm 147:4 says for instance of God's knowledge of the stars: "He counts the number of the stars; He gives names to all of them." 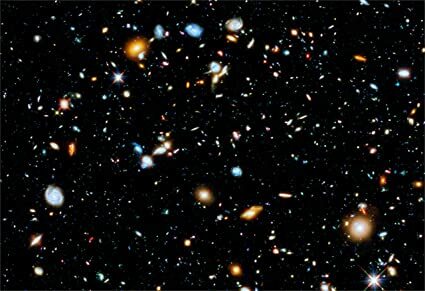 Astronomers estimate that there are roughly 2 trillion galaxies in our observable universe. Each galaxy, in turn, contains an average of 100 billion stars. God knows the location, chemical composition and destination of each star in one thought. "The knowledge of God, therefore, not being acquired, cannot be increased. Time does not add to it. Succession of events does not bring it before God. All the objects of his knowledge are to him eternally present and known." On a most practical level, God's omniscience includes the prayers of His people. God doesn't need prayer to achieve His purposes. Instead, God has designed His purposes to include prayer. Prayer is often short-circuited by a limited view of God. We often times think God has very limited knowledge or no knowledge at all. If only we would consider that God has already known, how greatly our prayer-lives could soar above those troubles of life. 2. Secondly, God not only knows all things directly, God also possesses knowledge of all things with respect to their location in time. "God is all powerful and all knowing; and His perfect knowledge extends to all things, past, present, and future, including the future decisions of His free creatures." God knew when the fall would occur, knew when Christ would be crucified and where everyone would be at that moment (Acts 2:23-24). God's relationship to time is as a Being that perceives every point of space along the line of time - from beginning to end. To illustrate, whenever we watch a parade, our perspective of the parade on the ground-level is limited. However, people watching the parade in the upper-stories of a building can see the parade from beginning to end. Two vantage points of the parade are valid, however, the ground-level view of the parade is contained within the upper-level view. Such an analogy may help grasp what we've said and will say regarding God's omniscience and humanity's ability to choose. Biblical terms such as "foreordination", "predestination", "election" and "decree" are all used in scripture to describe God's omniscience at work with respect to time (Job 42:2; Ecclesiastes 3:14; Daniel 4:35; Romans 8:29; Ephesians 1:11). Such Biblical teachings ought not to scare us into thinking that God operates our world by fatalism or that we're all a bunch of puppets operated by invisible strings. Divine omniscience, in ways we cannot comprehend, makes possible the ability people have to make genuine decisions. God knows what decisions I would make tomorrow without my natural ability to choose being violated. The Psalmist speaks of God knowing when he rises and sits, as well as God knowing what would arise on his tongue before He spoke it. Bible prophecy proceeds on this notion of God's omniscience. Amazingly, God's omniscience does not violate human decisions. No person can explain "how" divine omniscience and human responsibility co-exist. Instead, scripture only reveals "that" God's all-knowing governance (omniscience) and daily decisions function together with no contradiction. Think of the Lord Jesus Christ in how He possesses, without contradiction, both a truly Divine will and truly human will. The Biblical teaching describes God's relationship to time as His ultimate will and the human will operating without conflict (see Acts 2:23-24; Acts 4:27-28). Prayer is an island of the believer's dependence on God surrounded by the ocean of His omniscient ability to know and answer such prayers. 3. In addition to God knowing all things directly and all points in past, present and future, God thirdly knows the essence of all things. "His knowledge is not limited to the manifestations and operations of spiritual beings, but extends to their essences, and includes not only what they are, but also those tendencies which indicate what they may be." "God, therefore, does and can know in the ordinary and proper sense of that word. He is an ever present eye, to which all things are perfectly revealed. “All things,” says the Apostle, “are naked and opened unto the eyes of Him with whom we have to do.” (Heb. 4:13.) “The darkness and the light are both alike” to Him. (Ps. 139:12.) “He that planted the ear, shall he not hear? He that formed the eye, shall he not see?” (Ps. 94:9.)" To once more apply these ideas to prayer, when Christians pray, they're asking for God to affect circumstances that are not yet a reality or bring about situations that are different than those of the current moment. The essence of circumstances and the people praying to Him about those situations are known clearly and comprehensively by God. 4. God knows the best means to accomplish His best ends. So we see that God's omniscience includes the fact He has direct knowledge of all things in space, second, He possess knowledge of all things in all times and then thirdly, God possesses knowledge of the essence of all things. Now lets consider a fourth area in our reflection on God's omniscience from Psalm 139:1-6, namely: that God knows the best means to which to accomplish His greatest ends (i.e wisdom). In Psalm 139:5, David indicates God has enclosed him in from behind and that His hand is upon Him. The preservation of the saint of God in their salvation is a feature of that aspect of God's omniscience we call His "wisdom". God knows how to preserve His people, and has promised as much (John 10:27-28; 1 Peter 1:3-5). The eternal columns of Christian salvation, sunk deep into the cross and God's omniscience, is a marvel to say the least. These features of God's knowledge cause the Psalmist to exclaim in Psalm 139:6 "Such knowledge is too wonderful for me;It is too high, I cannot attain to it." May we praise God for these wonderful aspects of His omniscience. In today's post we noted four qualities of God's ability to know all things. We also looked at how Divine omniscience can grant greater confidence in prayer. 1. God possesses direct knowledge of all things. 2. God possesses knowledge of all things with respect to their location in time. 3. God knows the essence of all things.